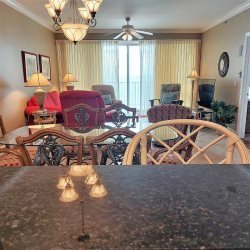 Rare one bedroom beachfront condo on Thomas Drive. Perfect for a couple or young family. Great balcony so close to the ocean you can reach out and touch the water!